Statue Forum > Home Grown > Home Grown RULES!!! Sculptor's Corner Threads: PLEASE READ! When I went to Wonderfest earlier this year, I asked the guy teaching the class about doing kits of unlicensed characters and he just said, "If a big company takes notice and issues a cease and desist on you...take it as a compliment." It kind of eased my mind on the subject, but now it seems to be a bigger deal than I thought. I've not created kits myself, but have plans to in the future. Guess I'll do my own creations. 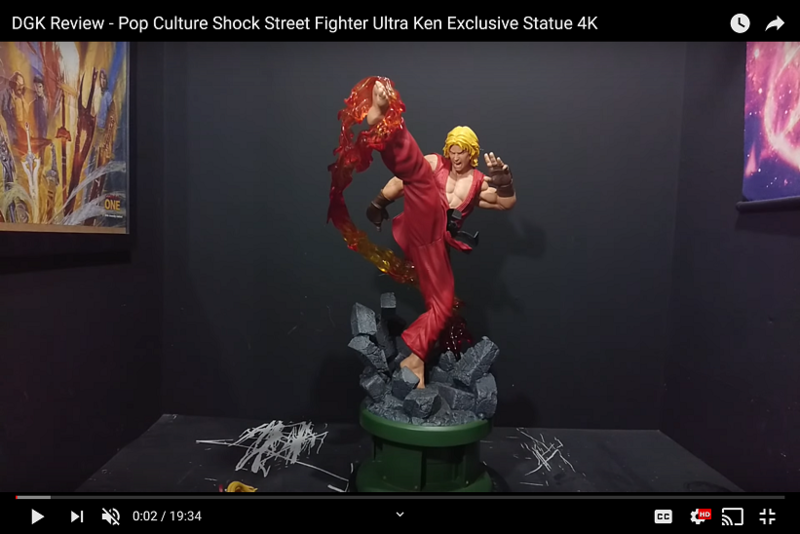 I don't mind what SF is doing here, and I don't support recasting production statues, but I hate it that the big companies even give a crap. It's not like they're going broke, and it really creates even more interest for their characters. I'm trying to put myself in their shoes, but I just don't think I would care if some kid was making and selling statues of my creation in his basement. So long as it's not a direct recast. Obviously underground guys are making sculpts that people want and can't get from the big companies. That's why I started sculpting to begin with. From a collector standpoint, there are a lot of personal commissions I really wish were kits so I could have one. I just see this as a discouraging of creativity to some small degree. Plus, look at how many of us collectors have some kit or recast of a licensed character in their collection somewhere. Either way, that's just my opinion and I'm getting more and more into original creations anyway. It's more exciting than these 10 new Iron Man/Hulk/Wolverine statues we get every year. If some of us have custom pieces in our collection, that might not be one of a kinds are we allowed to post pictures of them as part of our collection in the collection corner? 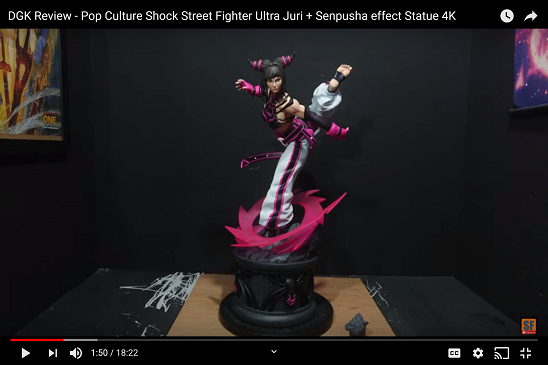 If you can’t understand why commissions aren’t to be allowed then maybe take a visit to some other sculpting forums around and you’ll see multiple garage kits on offer of sculpts that have been effectively advertised here on SF “with no mention of kits”. It’s not difficult to work out and its not difficult to circumvent the rules using PM’s. Many commissions, not all, are done with a view to sell to the community. And as for the big companies caring, well yeah I sort of agree that why would they care but then it’s a slippery slope. If they start letting people do it on a small scale then what’s next? They own the copyright so that’s that, black and white. IMHO its about time. Although the commissioned sculpts are great it is called Sculptor’s corner for a reason i.e. the sculptors that own and have created the work should be posting the work not someone who is commissioning and then posting with a view to make back their costs by selling onwards. It’s not called Commissions corner. Perhaps there should be a separate section for that sort of stuff but with very strict guidelines. I welcome the change and in fact think that it might promote creativity rather than discouraging it. Perhaps we’ll actually see something other than the usual batman, wolverine, hulk etc etc and maybe more original stuff from our own minds. That’s the really cool stuff. Good work mods, looking forward to seeing the new corner! It sounds like we need to keep it simple...post your creations, ask for advise but dont solicit or hint at it. And dont ask to buy it in the thread when someone else posts their stuff. Fine with this, I've been sick of camel-fishing for years now. I do feel bad for commissioners who just want to show their work, but the fishers have to go. The rules adjustment is posted in the new corner, "From our Bench". Specific questions can be posted there as well now. This way, there will be just one place to check. Sections will become live on Monday if all goes well. Last edited by d rod; 08-23-2013 at 03:26 AM. bummer we lose all the older threads, great reference material. We are all sad about that. But, little by little it will come back. Doing what we are doing right now is a ton of work and sifting though all the threads and posts was going to make it impossible. If it makes anyone feel better, the threads aren't deleted, they are just locked down. This is why we are making the changes so none of us have to go through this again. I'm locking the thread now and reminding once again to view the rule additions in the new section "From our Bench"